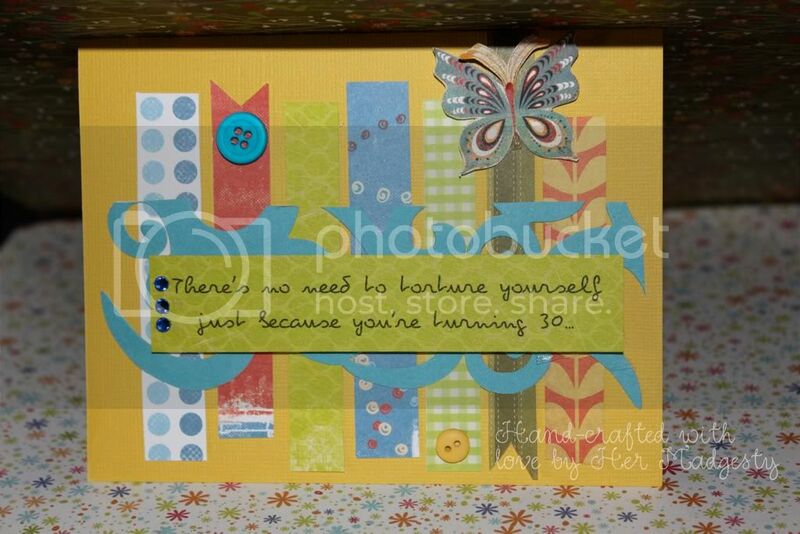 Today, I am featuring a guest post from one of the most creative ladies that I know. Her name is Madge and I met her several years ago when we were both working for the same technology company. Our lives have changed (for the better I believe!) so much since then. 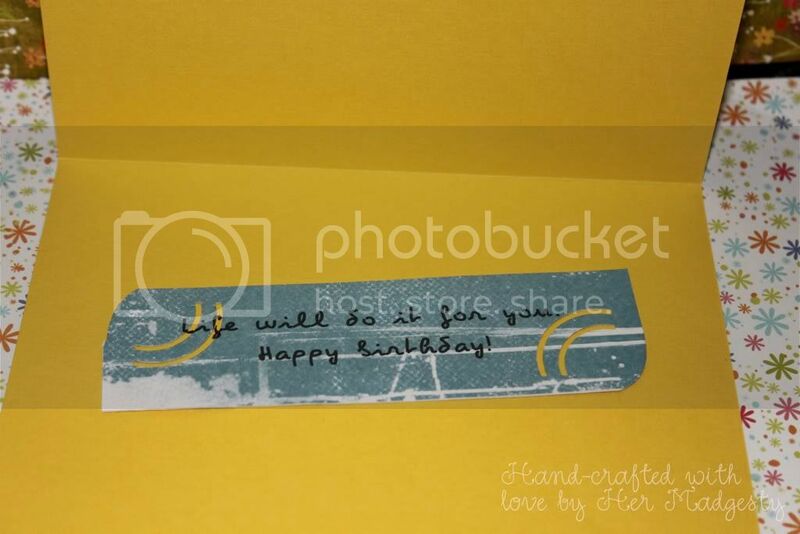 It is to my delight to share with you today who she is, the adorable stuff that she makes and what a visual treat her blog is! Hi. I’m Madge, owner of the blog “Her Madgesty”. I live in sunny Los Angeles with my husband Gerald and the most adorable 2-year old little guy (at least to us! ), Sebastian whom we fondly call Basti. I used to work in IT when I was still living in Manila, but started practicing my real profession (because of my educational background) as a Clinical Laboratory Scientist (weee how much more geeky can I get?) when I moved to California. 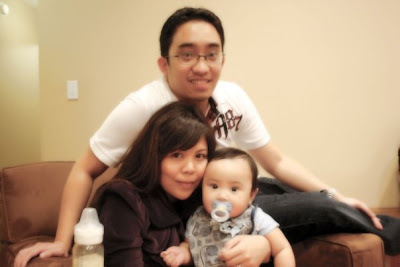 Then after I gave birth to Basti, I stopped working and made a serious career out of being a stay-at-home mom. And what do you know, I love every minute of it! I think it is the BEST decision I have made in my life, so far. But hey, I do have a life too, you know. I wish I could go all melodramatic and say “I cook-clean-take care of baby-every-single-day–that’s the story of my life,” but nope! I have interests, hobbies and whatnots, just like the rest of you humans out there -- lol. Now about my crafty little self. Well I’ve been creating crafty things for as long as I can remember, but my job in the corporate world and my job later on at the hospital kept me from giving in to the bites of the creative bug as much as I want to. I've always been sewing (by hand, initially, when I was younger), scrapbooking, and have made jewelry for a living at one point in my life. I would always give handmade things as gifts to friends and family – like a bejeweled bangle, cutesy gift tags, tote bag, even a quilt, to name a few. So when my friends encouraged me to start selling my work, I caved in to the idea and jumped at the opportunity when I became a stay-at-home mom. I then put up my little etsy shop, and have since participated in a few craft show events and local farmers markets. I put up my blog just to keep track of/record personal DIY projects that I love to take on. Instead of writing them in an actual journal, at least in my blog, I can post pictures of the projects, including some of the step-by-step procedures. And since I keep in touch with most of my family and friends through the internet, I also post pictures of Sebastian once in a while. The rest of the time, I write about things that inspire me (pictures from other blogs, films, food.) Over all, I just want my blog to be light and happy and quite informative, and I intend to keep it that way. 2. Funny Cards – funny (sometimes naughty) messages written on beautifully designed cards, sort of like a mix of “the serious and the hilarious” in just one card. 3. 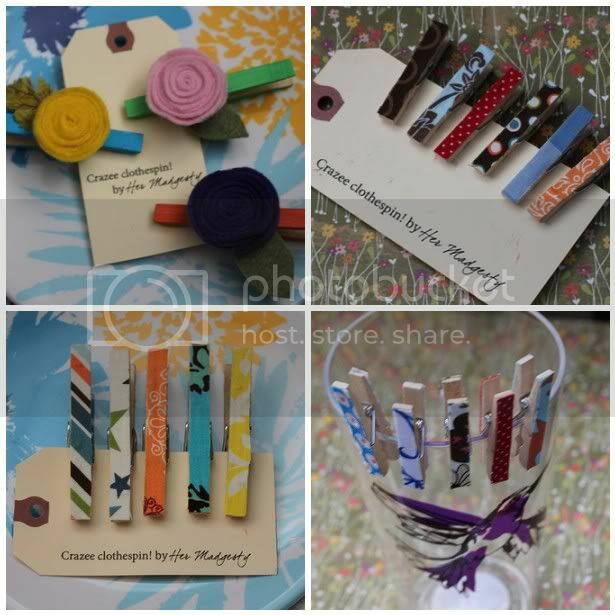 Jazzed Up Clothespins - flipping fabulous jazzed up little clothespins (definitely not your mom's!) that have millions of uses. Also, I am currently putting together a collection of artworks (details intentionally not mentioned for an element of surprise!) which I will be launching in my blog very soon. Please check back and watch out for it! I almost always put up my stuff for sale at my etsy store, but since I usually blog about it first, I’ve had some people order directly thru my blog (they just contact me through my email). You can check out either my etsy shop or my blog, whichever you come to visit first. And whenever I am joining a craft show, I usually announce it in my blog way ahead of time, so if you are local, watch out for that and feel free to drop by! If you have anything in mind that you want me to make for you that’s still not in the store, I’d gladly do it! You just have to tell! 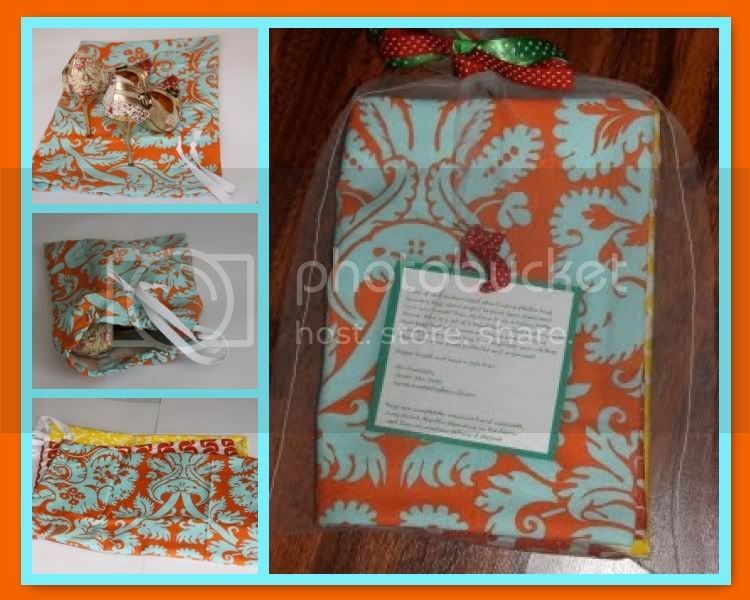 I’ve been approached countless times by friends and even strangers, to – make her daughter’s bridal shower favors, make her thank you cards, sew her little nephew’s baby quilt…. you get the idea. I do accept bulk orders too, for any and all occasions. From time to time I hold sales at my etsy shop, but Sam is such a great person, an inspiring friend (she and Rob are a super inspiring couple! ), not to mention her blog is one of those with very heavy traffic, I feel so lucky to be approached by her for her blog feature. I am pleased to offer a 40% discount for anything in the shop, and even for a customized order… order as much as you want, discount to be used ONE TIME. Just drop me a note before you finalize your purchase, so I can apply the discount. Hope you enjoyed taking a peek into the life and creations of Madge! I have so much love for people who can create beautiful things out of the objects we normally overlook. Please do visit her blog and I promise that you will see a lot of pretty things that will make great holiday presents!